Everyone knows how important is to have a companion from the other world, a spirit friend who would become a reliable protector. So, we are happy to offer you magic products, with which you can call such spirits for kids. 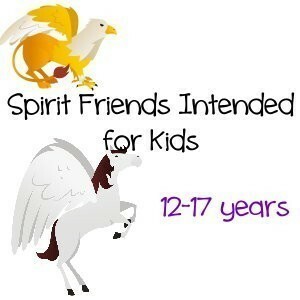 What is the difference between spirits for children and other spirits? They are in many aspects similar to children. They are about the same age; they have similar flows of energy, personal traits, and behavior. They will be wonderful companions for your children, they will be able to protect them from ill-considered actions and at a subconscious level, they will give hints to children. Here you can choose different spirits from a huge variety of options. There are spirits of unicorns, fairies, dragons. 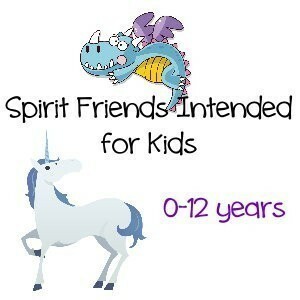 Some spirits in our store are suitable for all children and others are divided by age: separate groups of spirits are ideal for children aged 0-12 years, others for 12-17 years. Choosing the right spirit for your child, you can be sure that each of them will make an excellent company for your child, and you can be calm for your kid. You will receive a small dragon statue bound with a Dragon spirit custom conjured for your child. We work with many kid-friendly Dragons and the perfect companion will be chosen to accompany your little one. You will receive a small fairy statue bound with a Flower Faery spirit custom conjured for your child. We work with many kid-friendly Fae and the perfect companion will be chosen to accompany your little one. We've made it easier for those of you who have kids who are Spirit Keepers too by making this easy, one-stop listing, where we offer our recommended spirits for kids ages 0 to 12 years! We've made it easier for those of you who have kids who are Spirit Keepers too by making this easy, one-stop listing, where we offer our recommended spirits for kids ages 12 to 17 years!